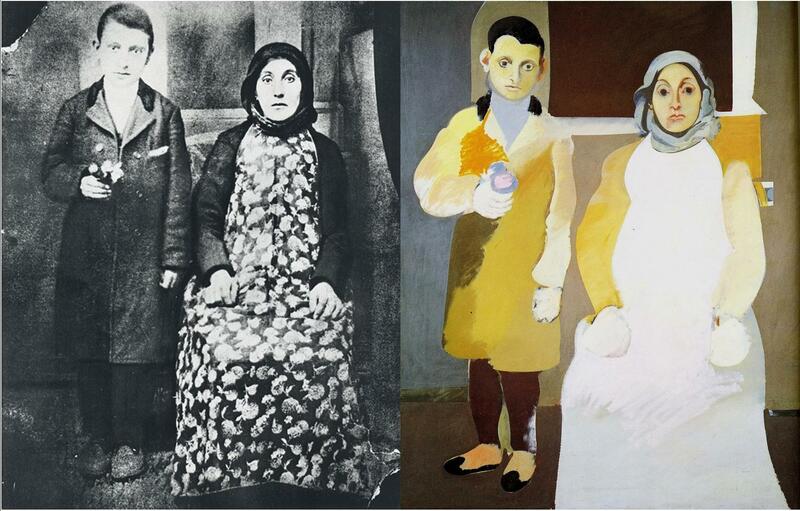 “The Artist and His Mother” by Arshile Gorky, one of the most influential figures in expressionism, a survivor of the Armenian Genocide. Would the viewer of this painting understand the motives of why Gorky commuted suicide in 1948 at the age of 44? Was this an act restating that Genocide is not the actual place of a crime, but the continuum hold in memory? Would the viewer be annoyed when learning about experiences Gorky had faced as a survivor? What this portrait illustrates so far and how much is this image tragedy of humanness? No one is forgotten, nothing is forgotten! Shushan, I study now history of arts and found your photo of Gorki’s painting and photo combined. I liked your words, as I read them just after navigating and reading about Armenians. I am Romanian, there are Armenians here, evidently, but I don’t know any personally. How vast is this world and how small! how different are people and how similar! how torn is our world between screens, words, imagination, things that cannot be touched, and reality, the place where I stand now, the sounds that I here now, the chair that I sit on now…what shall I do, what should I pay attention to?? ?